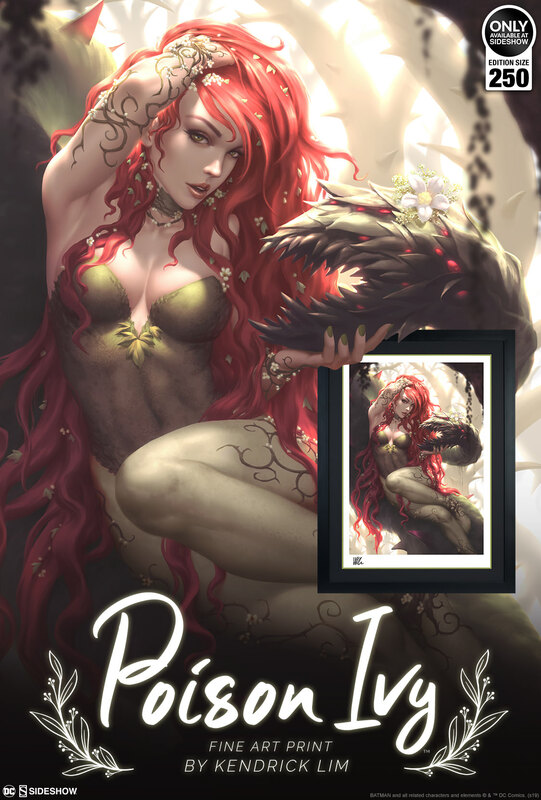 The Poison Ivy Fine Art Print by artist Kendrick Lim will be limited to 250 pieces worldwide. The framed options, with black or white framing to choose between, will be offered first between Noon – 3PM (Pacific Time) on Friday, April 19, 2019. If any pieces remain available of the DC Comics inspired Fine Art Print, they will be offered unframed on Monday, April 22, 2019 beginning between Noon – 3PM (Pacific Time).